The Blue Shirts maintained their unbeaten record in the ICC T20 World Cup against their arch rival Green Shirts by grabbing the match easily with a big margin. Team India ended the Asia Cup 2014 on the winning note by defeating the minnows, Afghanistan, in the last encounter of the ongoing tournament. One of the best batsmen in the ODI cricket, Kumar Sangakkara, blasted a ton against India and led his team to a nail biting victory at Fatullah. 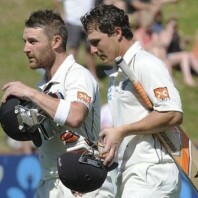 A career’s best unbeaten 281 by the Black Caps skipper, Brendon McCullum, and a ton by BJ Watling, guided their side towards the series win against India. Black Cap’s captain, Bredon McCullum, blasted a superb ton, shared an unbeaten 158 runs partnership with BJ Watling and kept India anxious in the 2nd Test. 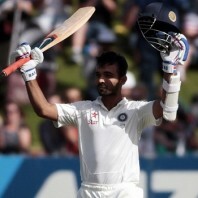 A magnificent hundred by Ajinkya Rahane put India in command against the powerful unit of New Zealand who are facing a possible defeat in the final Test. 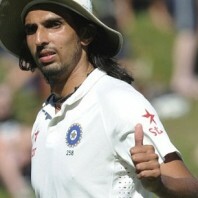 The spearhead of the Indian pace battery, Ishant Sharma, well assisted by Mohammed Shami penetrated through the batting line up of the Kiwis in the 1st innings. New Zealand maintained their supremacy in the ongoing series vs. India who surrendered the opening Test against the quality quick bowling on a bouncy track. 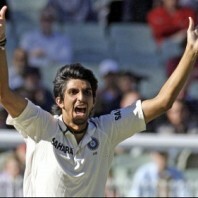 The Indian bowlers put their side back in the game after their dismal batting in the first innings as the Black Caps were dismissed cheaply in their 2nd one. 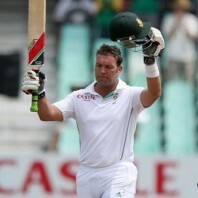 The middle order batsman of South Africa, Jacques Kallis, hammered a century in his final Test and brought the home side in a winning position against India.